There’s a drum on every seat! Come see why Oprah chose DJEMBE! to lead her Super Soul Sessions! 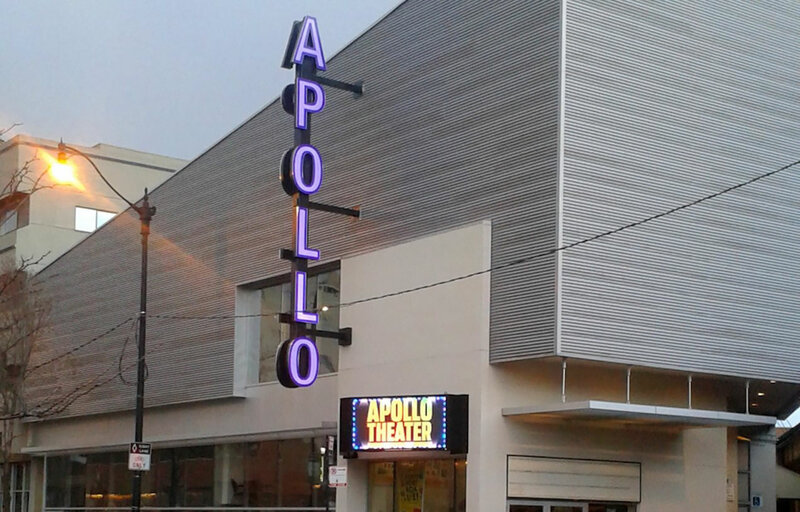 The Apollo Theater (no relation to New York City’s Apollo Theatre) is a lush venue with a prestigious reputation, located in the heart of Chicago’s fashionable Lincoln Park neighborhood. Built in 1978 by theatre producers Jason Brett and Stuart Oken and twice renovated, the Apollo boasts a dramatic glass and concrete design conceived by Chicagoan Michael Lustig. Its three-quarter thrust stage has 430 plush seats configured in just eleven rows, allowing audiences a theatrical experience unparalleled in intimacy and accessibility.